French TV is a Louisville, Kentucky based progressive rock band that has been in existence since 1983. Over the years, members have come and gone, but founder, bassist and main composer Mike Sary continues to drag the band into the next millennium. The history of French TV is complex, filled with lineup changes, missed opportunities, delays, and disillusions. And yet, a growing body of work testifies to one man's sagacity and stubbornness. The history of French TV is complex, filled with lineup changes, missed opportunities, delays, and disillusions. And yet, a growing body of work testifies to one man's sagacity and stubbornness. Blending elements of progressive rock, fusion, cartoon music, and Rock in Opposition (rio), the music of his group has been described as being "simultaneously hilarious and highly challenging, making it one of the most original American prog rock outfits." The group began its uncertain life back in 1983, when Sary and keyboardist Steve Roberts put a group together to explore twisted forms of rock their previous basement projects would not allow. They recruited Fenner Castner (drums) and Artie Bratton (guitar), and proceeded to record their first album. Released in a limited edition of 500 copies in 1984, French TV was a very imperfect first step, but a step nonetheless. Quickly the plague of departures began, beginning with co-leader Roberts, who left to run his prog rock record shop ZNR Records. From that point on, French TV would live by Sary, who would add to the name of the band a number for each album released ("French TV 3," "French TV 4," etc. ), a way to underline its constant state of flux. After a hiatus of four years, he released After a Lengthy Silence. By the end of 1990, a third album, Virtue in Futility, was ready for release, but it only came out four years later when, tired of looking for interested parties, Sary decided to launch his own record label: the self-mockingly titled Pretentious Dinosaur. In French TV's track titles and liner notes, humor plays an important role, as do left-wing politics. Virtue in Futility (FTV3) was the last to feature Castner and Bratton. 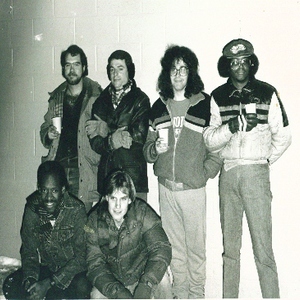 By the time of Intestinal Fortitude (FTV4; 1995), the band had burned another quasi-stable lineup: Tony Hall (guitar), Bob Douglas (drums), and [bandmemberJohn Robinson[/bandmember] (keybaords). The album marked a departure as it included compositions from other band members than Sary, some with lyrics, and a sound slightly less wacky. By the live album Yoo-Hoo!!! (FTV5; 1997), Dean Zigoris had replaced Hall. At this point, the group began to garner some attention in progressive rock circles and started to perform elsewhere in the United States. A few concerts with Volare (including an appearance at ProgDay '97 in Raleigh, North Carolina) led to drummer Brian Donohue sitting in for a few nights and recording material for The Violence of Amateurs (avant-garde maverick Eugene Chadbourne also makes a cameo). This FTV6, released in 1999, remains the group's best achievement, an incredible cartoon roller coaster acclaimed by the specialized press. For the 2001 album The Case Against Art, French TV consisted mostly of Sary, keyboardist Warren Dale (of TRAP), and drummer Chris Vincent, with many past and new friends sitting in.